BBC News - Will we switch to gas made from human waste? Will we switch to gas made from human waste? As the UK faces the prospect of North Sea gas running out, could supply problems be eased by using gas made from human waste? For most people the waste they eject from their bodies is something they don't bother thinking about once they've shut the toilet door behind them. But there are some who think human waste could be a major part of a stable gas supply. Just as long as we can overcome our prejudices. 4: Biogas plant cleans methane to remove impurities, adds odorant to "smell like gas"
The UK has to ensure that, by 2020, 15% of the energy it produces comes from renewable sources. This, combined with government plans to reward those who pursue this route sooner rather than later, has led to a surge in interest in deriving power from the euphemistically termed "sewage waste". With many energy experts already looking forward to the end of North Sea gas, much will hinge on the stability of supply from Russia and the Middle East. Uncertainty could be a driver for the exploration of alternative sources of gas. 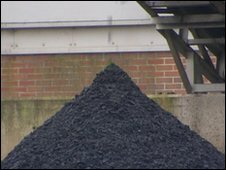 The UK produces 1.73 million tonnes of sewage sludge every year, which the Department for Environment, Food and Rural Affairs says could potentially be used to produce biogas. And, this summer British Gas, in partnership with Thames Water and Scotia Gas Networks, plan to be the first to start piping biomethane, derived from faecal matter, into the national network and straight back to the homes of 130 customers in Didcot in Oxfordshire. Anaerobic digesters - carefully managed bacteria - are already used to turn faeces into a means of generating electricity, but the additional plant that British Gas will install will clean up the spare biogas and turn it into biomethane which can be used on household hobs and in gas central heating. The whole process should take about 23 days from flush to finish and since the infrastructure is already in place, British Gas say that the test customers would not notice any difference in the final product. The most crucial thing for many consumers will be the issue of smell. The new biomethane will smell just like the standard natural gas supply. Other energy firms including United Utilities and Ecotricity have also announced their plans to inject biomethane straight into the network at a later date. There may be some people who find the idea strange, but deriving power from human waste is nothing new. Experts who have contributed to a list maintained by University of Adelaide say biogas was believed to be used to heat bath water in Assyria in the 10th century BC and Persia in the 16th Century. In the 13th century, the traveller Marco Polo noted the Chinese used covered sewage tanks to generate power, while biogas technologies were also referred to by 17th century author Daniel Defoe. 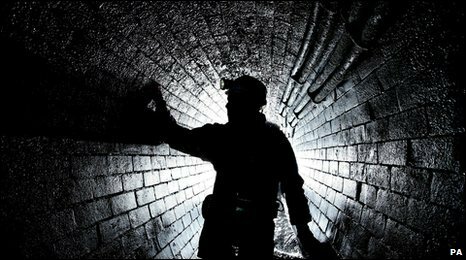 In 1859, an anaerobic digestion plant was built to process sewage at a Bombay leper colony, while in Victorian Britain excreta was used to power gas street lamps. Sewage is still an important source of energy in communities in India and China. Although human waste power has made its mark in the electricity field in the UK thanks to incentives already in place, gas companies say that until now, it had been too expensive for them to clean up that gas for it to be used in hobs and heating. Prof Frank Scholwin, the head of the Biogas Technology Department at the German Biomass Research Centre, says the trend in Europe began around 15 years ago when waste management companies realised they could use the sewage as a fuel source for buses and heavy vehicles they had on site. European countries were interested in producing their own gas sources as, among other factors, it provided them with a degree of stability, Prof Scholwin suggests. "The result was that they became far less dependent on other major natural gas producing countries such as Russia." Legal obligations and incentives resulted in an increase in the number of companies in Germany and Sweden producing biomethane for a variety of purposes. A 2009 paper by the National Grid said with the "right government policies in place, renewable gas could meet up to 50% of the UK's residential demand for gas" but admitted this would not be easy. It said that by 2020, a more feasible projection could see sewage and waste water providing up to 270 million cubic metres (0.28%) of the estimated 97,000 million cubic metres total demand for gas. In an ideal scenario, by that same date, it could provide 629 million cubic metres (0.65%) of the total UK gas demand. Dr Guy Hitchcock, head of Exeter University's Centre for Energy and the Environment, says changes such as the Renewable Heat Incentives and other legal obligations have made sewage an attractive proposition for investment in the energy market. Although biofuels made from food crops such as wheat and rapeseed were often criticised about their potential impact on the food chain, land development and carbon footprints, he says there were fewer arguments against biomethane derived from sewage. Instead conflicts were over economics and the most profitable ways of utilising the gas. "If we're talking about biogas from food crops then the argument is similar but when it comes to sewage it appears to be a different matter. "It is a way of turning methane into something useful and something which will prevent the displacement of fossil fuels." However he admitted that the potential for power generation has an obvious limitation - the finite amount of human waste produced. "We produce what we produce and we use it. The resource is obviously limited by what we produce", he notes. The government's Renewable Energy Strategy says "12% of our heat could come from sustainable biomass, biogas, solar and heat pumps, supplying the equivalent of four million households with their current heating demands". But it also warned that this could potentially lead to an increase in household electricity and gas bills. And that could be of more concern to consumers than a bit of squeamishness. At last! I have for a long time thought the first port of call for biofuels should be sewage- both human, animal and vegetable waste. The idea of growing crops to use as fuel while we contaminate our water sources flushing gallons of high carbon potential energy sources down the toilet is absurd. There would be a cost of implementation, but I think if this was made compulsory and all processable waste diverted to anaerobic digesters, then there would surely be an economy of scale for the end user. This technology has been around for ages, how come it is only now people are taking it seriously? I am very proud of the chemical, bio-chemical engineers, environmentalists and enterprenuers who have come up with such a brilliant idea. Its non toxic, eco-friendly and sustainable. I'm all for it. These things (eg power and heat from rubbish, alternative/renewable energy sources) are not the answer to everything but certainly look like they can significantly supplement, and in some cases replace, the imported, expensive and maybe insecure traditional energy sources. I see nothing wrong with getting a bit from here and a bit from there etc. AD is not a new technology, as your article points out. It is already in widespread use in UK water companies for the treatment of sewage sludge, and the injection of the biogas produced into the grid is a sensible way forward. However, its value has to be placed in context - the 50% of UK demand estimate you refer to makes a lot of assumptions over availability of feedstock which are questionable - much of this relies on capturing agricultural manures and slurries which are generally spread to land at the moment, and which farmers would be most reluctant to subject to a higher cost of treatment - in other words, unless it is made cost neutral to treat these materials, take-up is likely to be sporadic. This, coupled with the fact that feedstock production varies seasonally, and the fact that sewage and slurries both have reasonably low biogas production values (this material has been digested once already! )means that there are barriers in place which need to be overcome to realise the potential of the technology. I think this is one of many ways in which sustainable energy can become a realistic target. On their own, wave power, solar, wind power and sewage power will struggle, but if we view them as a battery of techniques to be developed then we can look towards rapidly eroding the requirement for fossil fuels. I'd also be interested to know the figures if it were realistically possible to commercially process the animal faeces from farms etc? This seems a no-brainer (to me at least) why dump this stuff in the sea when you can use it to provide energy? It also has the best NIMBY defence - if you don't want it processed, don't produce it. Do the public need even to be consulted on this? If it works no differently to natural gas, and smells normal, what exactly is the issue? It sounds like a brilliant, obvious proposal. Why does the UK drag its feet so over issues like this? we should just go ahead and do it. We are way behind other parts of Europe in making use of waste in this way. As the population rises, we will only be producing more sewage. Why not start putting it to use? Surely the issues of cost and technological barriers can be overcome in the face of the huge environmental advantages this kind of recycling might confer. Brilliant idea. The human race is so full of it ... this might just save our bacon.